Today is the final day to submit comments to the Council of the ABA Section of Legal Education & Admission to the Bar on the proposal of the Standards Review Committee to eliminate computation of the student-faculty ratio in connection with the accreditation of law schools (Standard 104 and Interpretations 402-1 and 402-2). Under the current Standards, a ratio of 20:1 or less creates a presumption of compliance; a ratio of 30:1 or more creates a presumption of noncompliance. The Standards Review Committee will conduct a hearing on the proposal on January 9 at the AALS Annual Meeting in San Diego. Written comments on the proposal and requests to speak at the hearing can be emailed to Becky Stretch (stretchc@staff.abanet.org), the Assistant ABA Consultant on Legal Education. 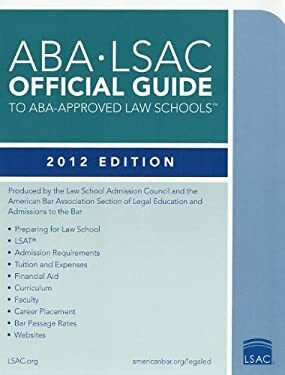 The student-faculty ratio currently is included in the ABA/LSAC Official Guide to ABA-Approved Law Schools and accounts for 3% of the U.S. News law school rankings (and 5% in the U.S. News college rankings and 20% in the new U.S. News world college rankings). The Legal Writing Institute and Association of Legal Writing Directors oppose the change; other criticism appears at Best Practices for Legal Education, Feminst Law Professors, and Legal Writing Prof Blog. [T]here are obviously arguments in favor of continuing to produce a student-faculty ratio, as evidenced by the fact that three committee members voted to continue to calculate and publish a student-faculty ratio. First, schools may have put considerable effort and resources into improving the student-faculty ratio, so we ought not to eliminate the ratio without giving more careful thought to the different ways in which schools might be relying on the ratio. Second, even though the student-faculty ratio may not give us dispositive answers to the question whether a law school’s faculty is sufficiently large, it does provide a starting point for inquiry, and we ought not eliminate it until we have developed better output measures that we might use in lieu of this traditional input measure. Third, to the extent that Interpretation 402-1 encourages schools to give more faculty members (e.g., legal writing faculty) security of position so that they count in the ratio, that is a good thing. And fourth, we may invite a range of potential unintended consequences if we eliminate the student-faculty ratio as an isolated question without a full assessment of all of Chapter Four of the Standards. As I have argued elsewhere, the ABA should require that law schools provide more, not less, information to our various constituencies and to the public.